The Amsterdam cargo industry is keeping its fingers crossed for the government’s approval to grant unused spare slots primarily to freighter operators. Sharon Dijksma, the secretary of state responsible for Infrastructure and Environment, supports the proposal. 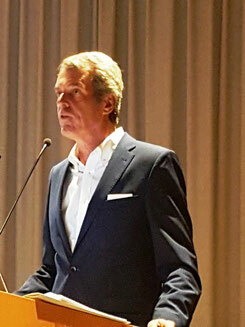 This year the umbrella organisation Air Cargo Netherlands (ACN) did not have to look very far for a topic for discussion at the public part of its annual General Assembly on 26 September. Slot scarcity is threatening to force out about 25% of the Schiphol volume. 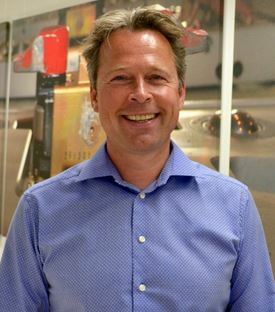 Legal consultant Frans Vreede added that the political world has also never realised the fantastic contribution made by cargo to Schiphol’s growth. So, Schiphol is the victim of its own success. Together with the Port of Rotterdam, it plays a vital part in the on-going promotion of the Netherlands as a logistics hub. However, the problems are mounting shown by the migration of freight carriers. One of the airlines that was unable to have its slots re-allocated is AirBridgeCargo, which is moving some of their flights to Hahn. As a result, its handler Menzies World Cargo has announced the lay-off of 100 jobs. Other carriers affected are Cargolux, Emirates SkyCargo, Kalitta Air, Singapore Airlines and Qatar Airways. To at least- keep the existing number of slots for the coming winter season starting on 1 November, the air cargo community has appealed for a local rule, that would give non-used slots out of the ‘spare pool’ preferably to freighter operators and long-haul carriers. Secretary of state Sharon Dijksma appears to support the idea, but she wants to check this procedure against European legislation. I guess AMS are playing into the hands of other cargo friendly airports around Europe such as Liege by forcing carriers away.. Interesting how a multiple runway airports allows itself to be backed into a corner by the noise lobby. A cap on the number of runway movements really is a joke for an international airport to come up against. Steve, thanks for commenting. Appreciated. We are all aware that the influence of small but vociferous lobbies in Europe is gaining space. Quite often they are supported by people residing close to the airport, allured by interesting land prices to compensate for the presence of the airport and the good connectivity inherent to the airport. Their influence has already clipped the wings of Frankfurt, one of Europe’s leading cargo airports and they march forward ever since in their crusade against night flights. Dusseldorf, Cologne, Zurich, Brussels and others know what I’m talking about. And politicians? They are giving way to the demands of a small minority instead of opposing these trends. The public still has the impression that supermarket shelves or Father Christmas’ baskets are self-filling. People are left totally ignorant of the indispensability of 24/7 freighter flights for supplying markets with consumer and industrial goods. What happens if SPCs are interrupted could be seen back in 2010 after the Icelandic volcano Eyjafjallajoekull broke out. Politicians didn’t have learned from this lesson. The same NIMBT attitude is found in the discussion on seaport expansion as well.